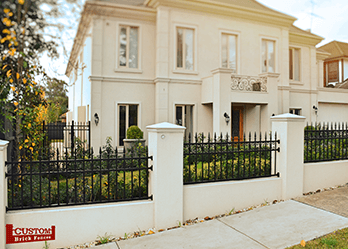 With our range of steel and brick fencing for Endeavour Hills, Custom Brick Fences are your one-stop shop for all things fencing and gates. We can cater to customers’ needs in a variety of ways, including for pedestrian gates and security gates, automatic gates and our fencing and gate products. With any building project, ideally you want the project to be completed on time and according to budget. It’s important that disruption to your day-to-day activities is kept to a minimum. You also want to make sure that the project is complete right the first time! You don’t want your fencing in Endeavour Hills to need mending in just a few times. 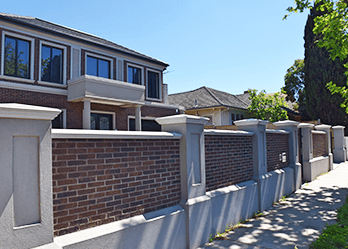 Custom Brick Fencing will ensure that all the permits are handled adeptly, so that the project is completed according to code and will also respect all the property boundaries. For brick fencing Endeavour Hills customers know will be completed to minimize cost and maximize value. 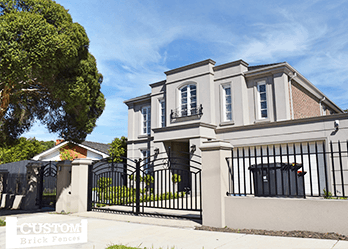 Looking for gates in Endeavour Hills? We can help. We provide aluminium gates and wrought iron gates, as well as other gate products. 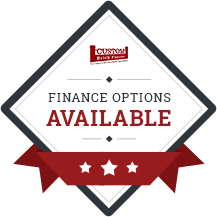 Whatever you’re looking for, we’re here to help! Ask us about our great product range when you enquire for your free quote. Looking for a sleek automated gate in your home? You’ve come to the right place. We have a variety of sliding and swing automated gates for Endeavour Hills customers.